The diabetes epidemic in America is already affecting 10% of adults over the age of 20 and is expected to increase to 1 in 3 adults by the year 2050. Every year the disease costs an estimated $175 billion in both direct costs like medical care and indirect costs such as loss of productivity. With a better understanding of diabetes and its risk factors perhaps we can slow down this alarming trend and prevent some of the debilitating complications of this disease. 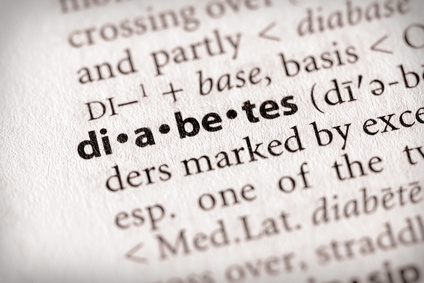 Type 2 diabetes is by far the most common of all types of diabetes, currently accounting for 90-95% of all cases. Type 2 diabetes occurs when a person’s body does not make enough of the hormone insulin or is unable to use insulin properly. When we consume food, insulin is responsible for opening cells and allowing sugar, or glucose to enter. When insulin doesn’t do its job properly this glucose builds up in the blood causing diabetes. There are four main risk factors for type 2 diabetes; family history, ethnicity, obesity and lack of exercise. While it is true that some ethnicities are at greater risk and risk increase when a blood relative has the disease, studies have so far indicated that these risks can be greatly reduced by exercising regularly and controlling weight. Eating a healthy diet is key to preventing diabetes. A diet rich in fruits and vegetables, low in fat and containing a moderate amount of whole grains is believed to help maintain regular blood sugar levels. Exercise is also extremely important. In a study conducted by the Diabetes Prevention Program, researchers found that people who were overweight and had elevated glucose levels were able to return these levels to normal by losing 5-10% of their body weight, getting an hour and a half of physical exercise each week and following a reduced fat diet. If you feel that you are at risk it is important to see your doctor for regular screenings. If left unchecked diabetes can lead to serious complications such as kidney disease, heart disease, nerve damage and blindness but with proper treatment and lifestyle adjustments many people can go on to live a long and healthy life.